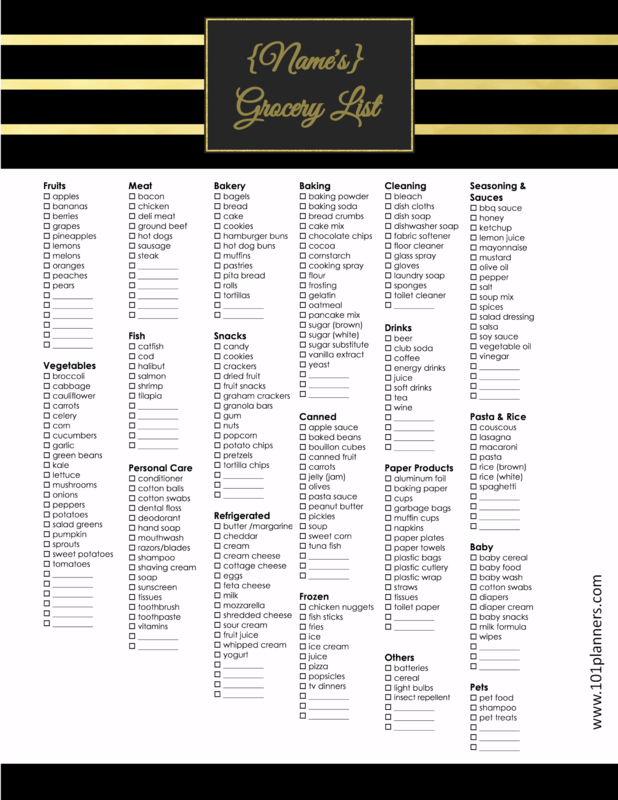 Taking a grocery list with you to the supermarket can help ensure that you make healthy choices. 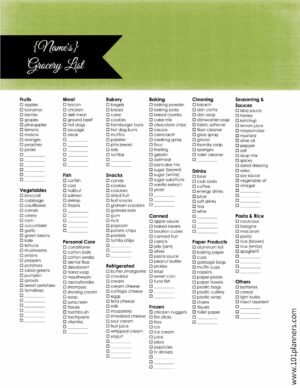 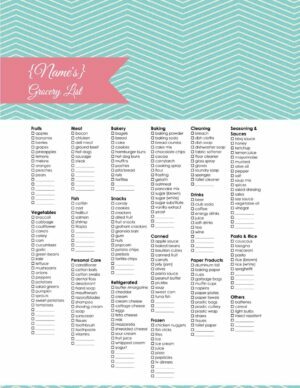 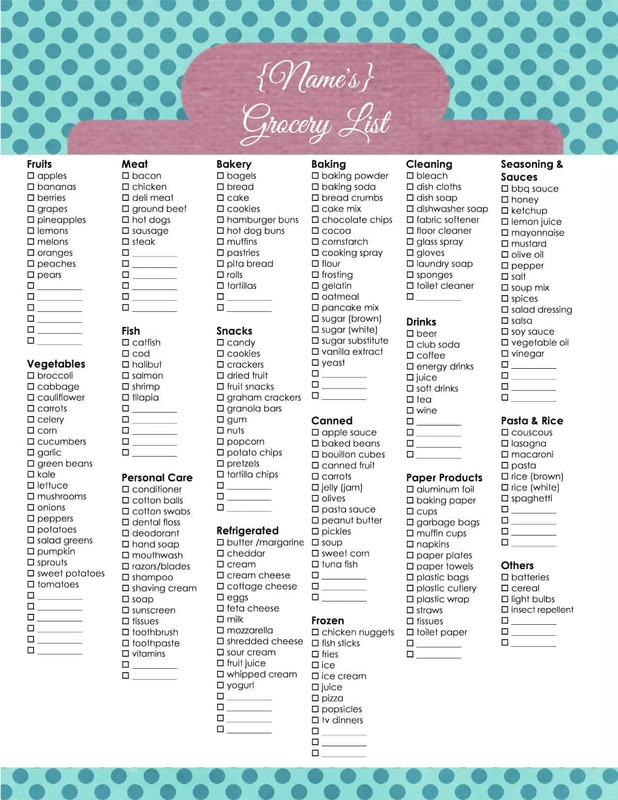 It prevents buying the junk food that we might be tempted to buy when we go without a list. 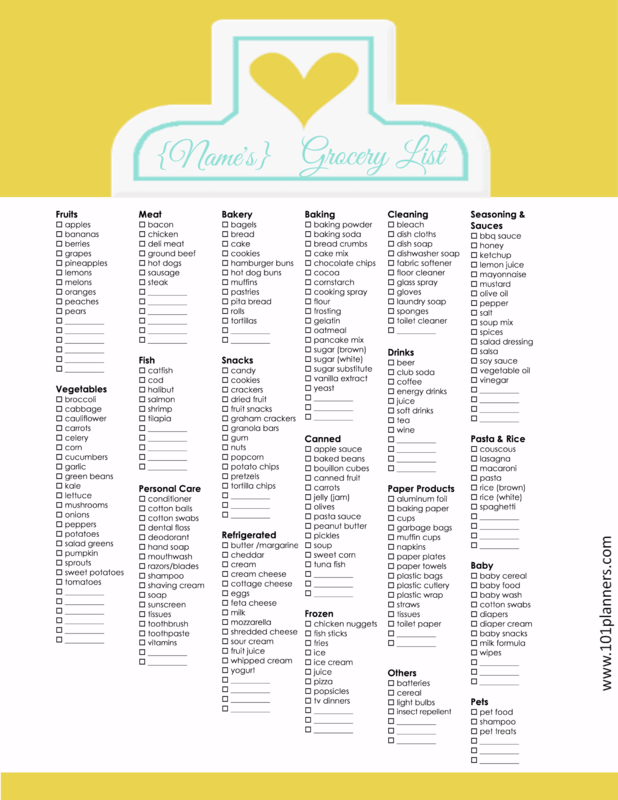 It also ensures that you have healthy food at home to enable you to make healthy food choices every day. 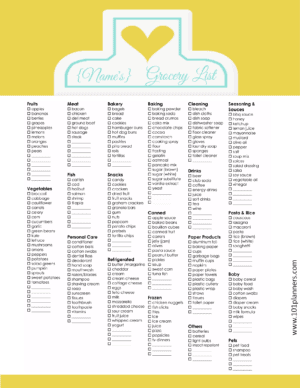 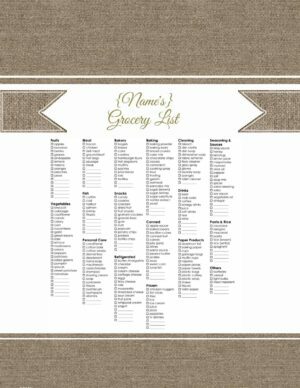 There are two versions of this healthy grocery list – a healthy version and a diet version. choose the version that you prefer once you have chosen the design that you like from the selection below. 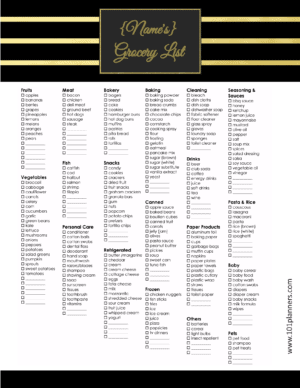 What is the difference between the healthy and the diet version? 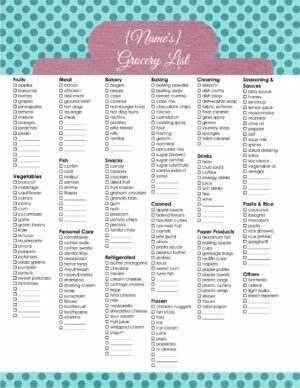 The diet grocery list includes products that are dietetic but not necessarily healthy such as sugar substitute. 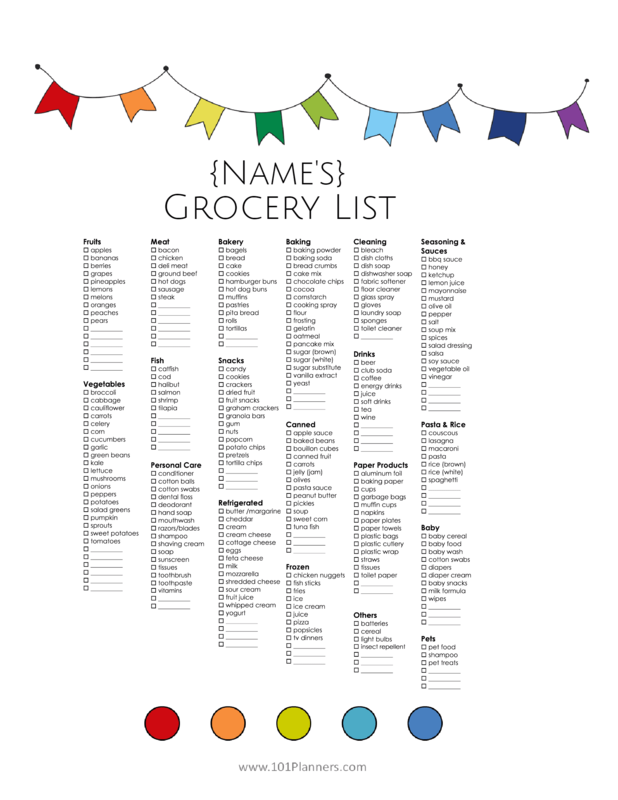 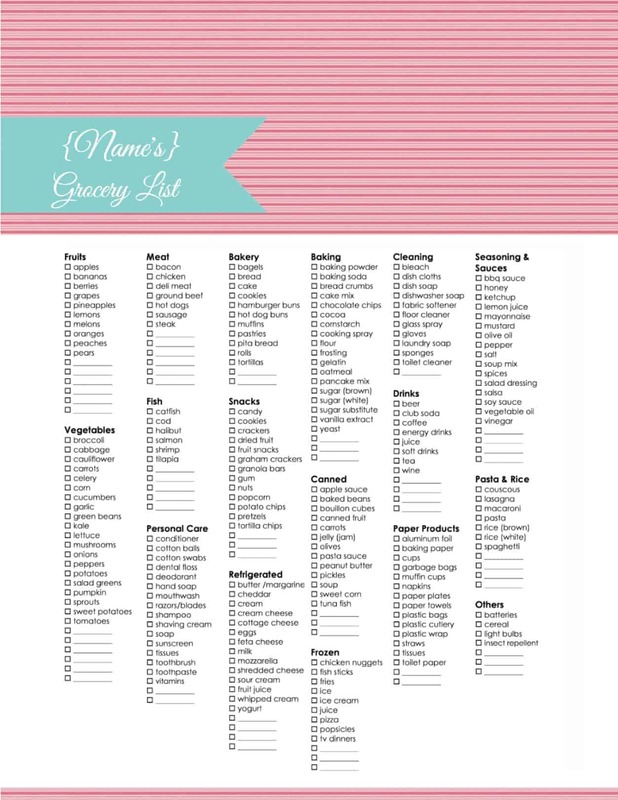 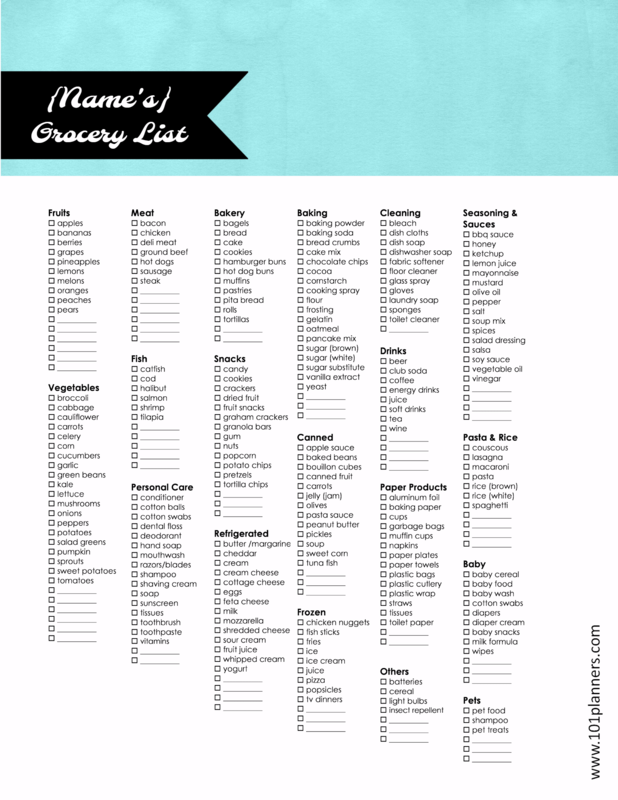 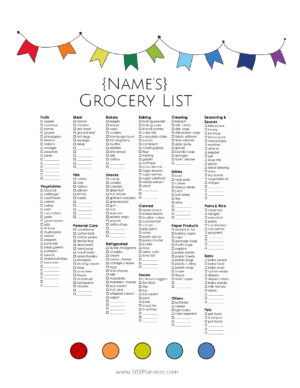 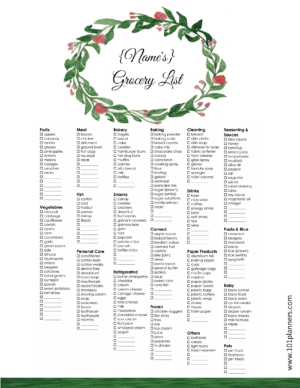 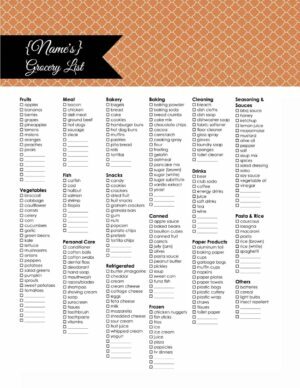 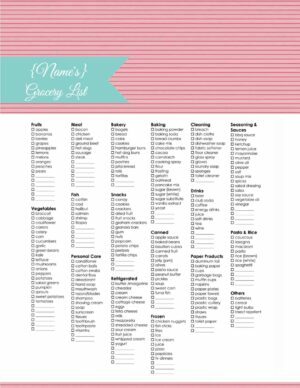 Don’t forget to add your name to your healthy grocery list before you print it or erase “name’s”.